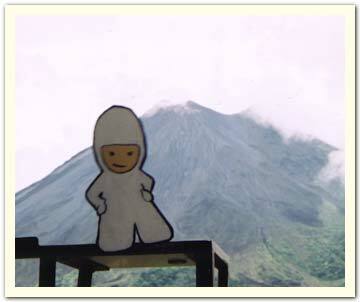 Bumperboy poses in front of a volcano in Costa Rica. June 2003. Photo taken by Jennie M.